In 1976, the Englishman Reg Pridmore won the AMA Superbike Championship on a BMW R90S. The following year, he became the first man to win an AMA race on a Japanese bike: at Pocono in Pennsylvania. Pridmore scored this landmark victory on a Racecrafters Kawasaki, and went on to take the Championship for Kawasaki, another first for a Japanese brand. For the 1978 season, Pridmore switched to the Vetter Kawasaki team. 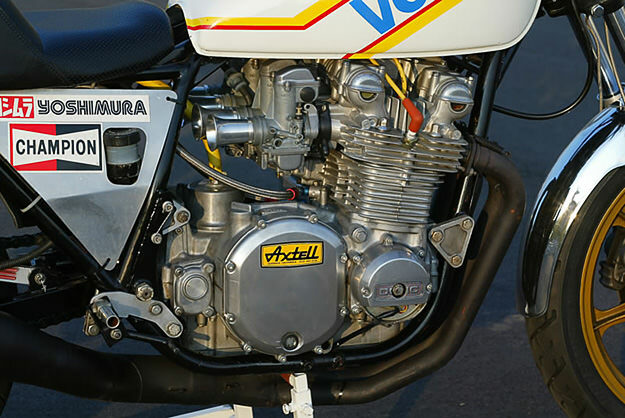 They gave him a brand new bike: the stunning KZ1000 you see above. And despite not winning a race, consistent podium finishes on the KZ1000 took Pridmore to his third straight title. At the age of 39, he’d become the oldest AMA Superbike champion—and the only Englishman to ever win the Championship. 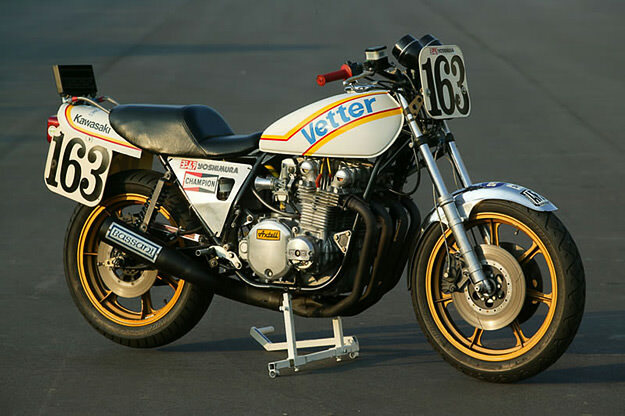 The late Pierre DesRoches was the man who built the Vetter KZ1000, and its DOHC inline four was a serious piece of equipment. 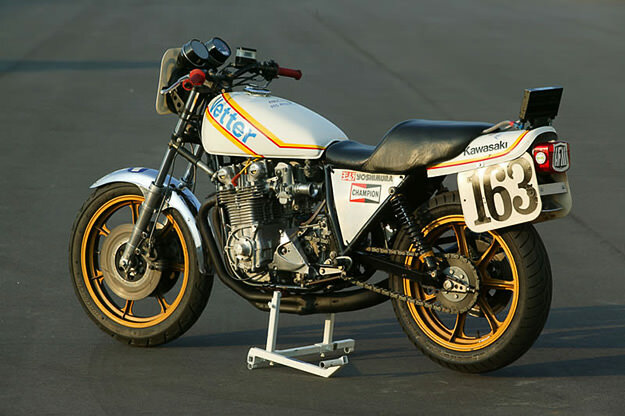 Displacing 1015 cc and rumored to produce a sizzling 140 horsepower, the heavily reworked motor featured Yoshimura cams and pistons, and a close-ratio gearbox. The “big four” Japanese motorcycling giants carried on to dominate the AMA for 16 years, until Superbike World Champion Doug Polen broke the Japanese stranglehold, winning for Ducati in 1993.